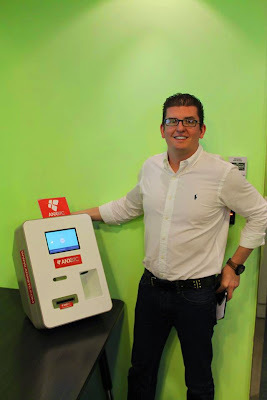 On a recent trip to Hong Kong I was fortunate enough to be able to stop by the offices of ANX Bitcoin Exchange for a sit down with their Chief Operating Officer Dave Chapman. 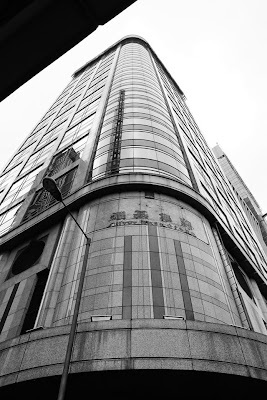 After a short ride on Hong Kong's lovely metro I made my way to their headquarters located on the 7th Floor of the The Sun's Group Centre, in the Wanchai area. Here is a transcribed version of that interview! Whether you are new to Bitcoins and crypto currencies or a seasoned veteran you'll be sure to enjoy the wealth of information below! speculators to know about ANX? So we started developing a Bitcoin trading system. Obviously, with the experience Hugh has designing Global FX for the largest investment bank in the world, he had a pretty good idea of how he would design the trading system from the ground up. So it doesn't use any [previously] licensed software. It's all been written by Hugh up until last year when we added additional staff to our development team. We started probably in March of last year  developing a platform and sort of putting it out there. Given the uncertainty of Bitcoins at that time we didn't want to rock the boat too much in case it didn't end up in our favor. That's when we met Ken Lo our CEO. Ken was as enthusiastic and excited as us to open a Bitcoin exchange. But, he was lacking in the technology side, so that was a partnership that has worked well. Basically it was a synergy between technology operations and someone who had the experience to be the face behind the brand. So the three of us over a number of beers and coffees and late night meetings struck a deal. That's when we formed the brand Asia Nexgen. We first went live in June  with ANX.hk. 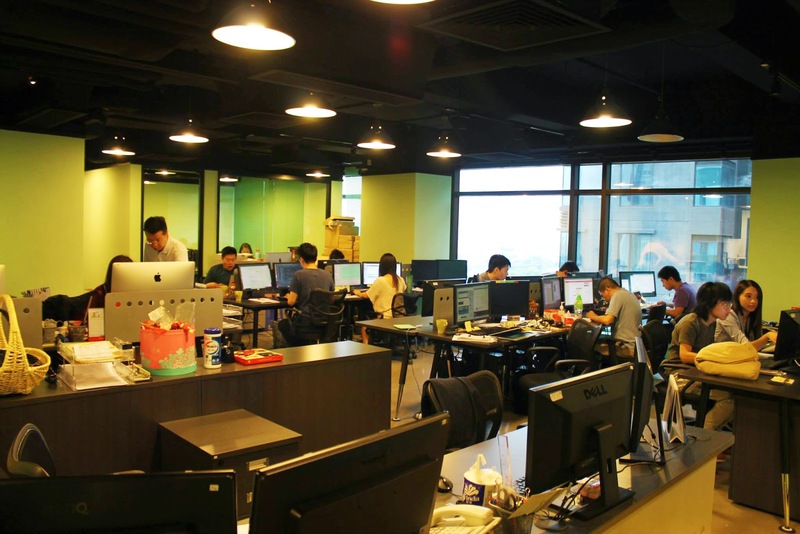 Asia Nexgen was focused on Hong Kong to get started." "The US government treats Bitcoin as property for tax purposes, applying rules it uses to govern stocks and barter transactions. This ruling applies to the US only with other jurisdictions applying their own laws and guidance. 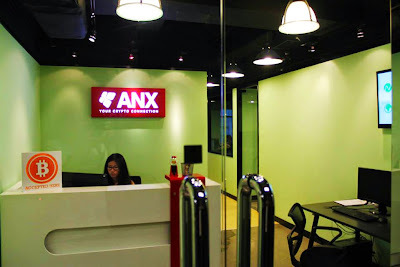 ANX Office. CEO Kevin Lo can be seen taking care of business on the left. At the beginning of last year  many people, myself included, were using Bitcoin to speculate. Now when November came and Bitcoin was peaking around $1,100 [USD] it was insane! I think even now a lot of people are seeing it as a speculative investment. Now, you can see that every piece of bad news we get the crashes aren't as low and the bounce back is quicker. What we are finding is that these massive dips aren't staying as massive and they take a lot less time to recover. I don't think the volatility swings are going to stop anytime soon.... And that hurts, obviously. However, show me a fiat currency that isn't volatile when it's first introduced. So to answer the question I think Bitcoin will become more mainstream (laughs) Even my parents regularly ask me about Bitcoin! There's a few things that need to happen for Bitcoin to grow. One, I think is regulation. That's already starting to happen. The bad thing about regulation, which you can clearly see in the U.S., is taxing Bitcoin as property. You can really see they're trying to put a square peg in a round hole. Current legislation just can't fit crypto currencies. You can compare it to the internet. The privacy laws were just completely inadequate when the internet came around. Media and Copyright laws just didn't apply to the internet. But now, the rules have molded into what we have today. The legislation revolving around Bitcoin still needs time to evolve, just so people know where they stand. Another thing that needs to happen is more retailers accepting Bitcoins. We need better merchant solutions as well. Many merchants wont even think of accepting Bitcoins due to the big volatility swings. However, what they don't realize is that even today is that merchant solutions can hedge that risk by converting Bitcoins to their local [fiat] currency the second that transaction happens. Finally, we need the ability to use Bitcoins easily. I don't use Bitcoins enough online to purchase things because sometimes it's too difficult. That's got to change. There's also a lot of times when I'm out and I'd like to use Bitcoins but I can't. Now, I think that's changing. At the moment it's still in its infancy and people don't really take it seriously as a payment method in retail. But, tell me another method where you can send 1 cent or $1 Million from here [Hong Kong] to Brazil in three seconds? It's insane! Regardless if Bitcoin as a currency proves itself and wins; I think as a technology, as a payment processing network, it's incredible. I think there are a lot of things that will be built on top of that. Things that people haven't even understood yet. It has a long way to go but I definitely think Crypto currencies have a place in the world for a long time to come. 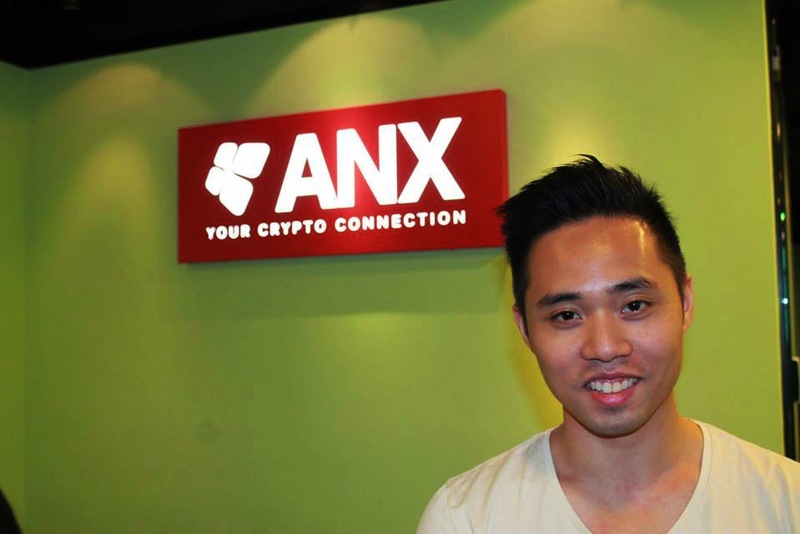 "ANX strives to make Bitcoins (and altcoins) accessible to the general public, lowering the barriers to entry and furthermore to assist in the mass adoption of crypto-currencies." "First and foremost, we're a real company with real staff and have been in operation since June 2013. We remain in open dialogue with our local regulators, take a rigorous stance towards KYC and AML compliance and were in fact one of the first exchanges to enforce such policies. ANX is a licensed Money Services Operator for foreign exchange, issued by the Hong Kong Customs and Excise Department. We're the only exchange in the world that supports 11 fiat currencies over multiple white label offerings (FYI - we just launched our white label affiliate in mainland China - mengmengbi.cn), and manages all the orders within a single order book. For example, you can submit your order in USD and actually match with orders placed in any of the 11 fiat currencies we support, and this is transparent to all users as all orders are re-priced in their preferred currency, real time. We're also the first and only exchange that facilitates the purchasing of altcoins in 11 fiat currencies." "Hugh and myself [Dave Chapman] had known each other for well over a year and had become quite good friends. Hugh suggested that we could do a better job than Mt. Gox. At that time I said, 'yeah, lets look into it...' not thinking too much about it. But, the more we looked into it, the more we thought we could do it. *What was the motivation behind rebranding? "When ANX distributed 50,000 red packets to the people of Hong Kong, each containing mBTC, it became clear that a large number of customers wanted to buy and sell bitcoin but the process was too difficult. We also appreciate the target market for users wanting a platform that offers professional trading capabilities. For this reason within ANX, two sub-brands exist: ANXBTC.COM, an easy to use platform for mainstream users to trade bitcoins, and ANXPRO.COM, targeting the experienced crypto currency trader." We utilize company accounts on Facebook, Twitter, Weibo, Linked In. All are integrated into our support software for immediate notification and response. "Definitely. 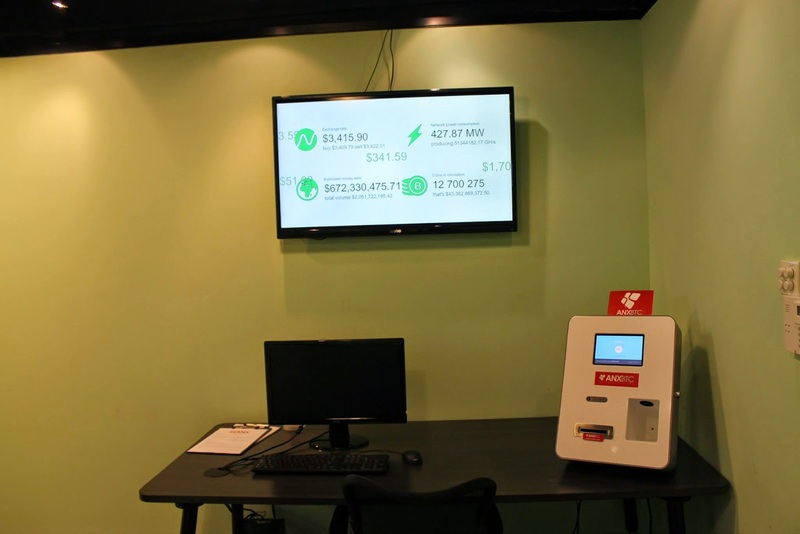 ANX launched the world's first retail store in which customers can purchase bitcoins over the counter. This is proving to be very popular with customers who are not technically savy enough to purchase online yet are conscious of bitcoin's advantages and its future potential. We also find that a large number of our retail customers feel more comfortable dealing face-to-face with a member of ANX staff." "We continually look for opportunities. For now our immediate focus remains in Hong Kong, though we have had a number of inquiries from our valued customers abroad as to whether or not we will be opening retail stores in their cities." classified as legal tender rather than property? In Hong Kong, crypto currencies remain unregulated with authorities confirming that they are a virtual commodity, and not a currency. The upside or regulation and legal clarification is that it provides some certainty for users of Bitcoin. It also proves that crytpo currencies can no longer be ignored by governments and their respective regulators. The downside is that some of the regulations and legal rulings are not entirely fit for purpose. As crypto-currencies are further adopted, I expect the regulatory and legal framework to improve." One thing we have definitely acknowledged was the lack of trust with Bitcoin exchanges. An enormous amount of trust and with Mt. Gox filing that doesn't help either. However, I would struggle to tell you how many Bitcoin exchanges actually have a physical address and allow people to see that they are a real firm. We are completely transparent and regulatory friendly as possible. Also we don't run a fractional reserve. All customer accounts, both fiat and crypto pay, are completely accounted for. If ANX was, for any reason, to go insolvent we would do so before touching customer funds. We would close our operation and return all customer funds. There's no other option. That is our stance. Now it's easy for me to say that, but it's another matter to prove it. For the future we are looking to hold all customer funds in a third party trust. So even if something did happen with ANX customer funds would be help with this third party trust. We're investigating the idea of a crypto currency custodian. Where people can have all their funds, in fiat and in crypto, held with a completely separate legal entity that is separate to ANX. That way customer funds would still be segregated and remain in management by this third party. Now to do this takes a lot of time. Time in terms of legal matters and finding someone to work with a Bitcoin exchange. Basically, we are looking to employ better techniques than those that are out there now. I think it's going to take a long time to topple Bitcoin [for some other Crypto currency to take the lead from Bitcoin]. I personally think that it will happen but I don't know how long it will take. I do think the adoption of Bitcoin can only get bigger and better. *What is needed for Bitcoin to Grow? Neither, ANX is pro-rights for animals. We all now need proof of solvency. How are they doing this? What steps are they taking to proove they have what they say they have. Answered in: "There is a major fear of the validity of Crypto currency exchanges after the fall of Mt. Gox; What is ANX doing to foster a sense of security among clients and prospective investors?" Ask them how well Cryptos are being accepted over there. Are the people expressing strong interest in adoption? Thanks! We try to educate and help spur the adoption of Bitcoin. We have classroom sessions here [in the ANX office] with 30-40 natives, non-English speaking, people. In our retail store the biggest demographic is 30-40+ housewives. They've heard about it, they've read about it. They just don't know how to do it. But they want to get involved. Ask them about their banking relations. Who specifically do they bank with and do they have an opinion about the long term viability of the arrangement? ANX maintains relationships with banks, globally. Our stance on KYC, AML and regulatory compliance does offer our firm advantages over some other crypto currency exchanges. Also find out whether they will go to the effort of obtaining a money changing license in Hong Kong (like 796.com did - but subsequently lost it). If not, why not? We have held a MSO license for foreign exchange since mid 2013. Does it bother ANX that other companies are marketing themselves as being Hong Kong exchanges when they have very little to do with Hong Kong (e.g. 796 is run out of Shenzhen, China; Bitfinex is basically run remotely by some European dudes). Is this an opportunity for ANX, something to work with in terms of their branding? For the people of Hong Kong, I'm confident they know there is only one prominent exchange in Hong Kong, and that's ANX. We're one of the only exchanges in the world where we invite our customers to visit us in our offices on Hong Kong island. We're also focusing on our global brand awareness and we're observing some great progress in the non-Asian regions. What software do they use for version control? ANX loves all types of Cuisine, including Mexican. You can easily find the going rate of Bitcoins at various exchanges (Including ANX!) at the following address! If you are interested in investing or checking out ANX for yourself stop by their websites! Please feel free to leave your questions, comments, opinions or rants below!